﻿ Vijay Deverakonda To Quit Films! Vijay Deverakonda To Quit Films! It is known that the unedited version of 'Taxiwala' movie starring Vijay Devarakonda which was supposed to get released on November 17th got leaked on the internet. 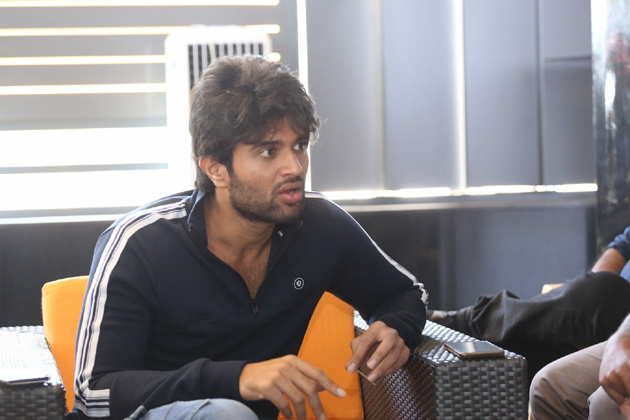 Talking about piracy, Vijay Devarakonda gave an emotional speech during the pre-release event of the movie. Speaking about cinematographer, Vijay said that Sujeeth worked for the film wearing a collar belt though his doctors suggested to change his profession. Vijay added that he walked around with the camera that weighed almost around 20 kg. "Just before starting the movie, music director James Bejoy's father got diagnosed with cancer. When his father was receiving chemotherapy, Jakes used to travel from Kochi to Chennai regularly and composed music despite having so many personal tensions" added Vijay about Jakes. "When I was shooting for the movie, my mother got sick and was admitted in the hospital. I couldn't shoot for the film and was emotionally very disturbed. I even thought of quit acting and called my directors and producers to take back their advances. But I worked very hard for 'Taxiwala' movie." Said Vijay about his hard work for the film.